I am sure you have spent a little intimate time with EnCase doing keyword searches, so you know that EnCase has basic GREP capabilities. This is a powerful feature that allows for searches to be performed with patterns that can eliminate false positive hits. Recently, we hosted a webinar with guest Suzanne Widup, describing some techniques and benefits of using GREP in EnCase. Poweliks: Persistent Malware Living Only in the Registry? Impossible! The ultimate desire for malware authors is to be able to have their code run every time a computer starts, and leave no trace on the disk for us to find. Let me reassure you that it hasn’t happened just yet, at least not that I have seen. There have been plenty of examples over the years that have taken advantage of some clever techniques that disguise their disk-based homes, but that’s just it–disguise! A couple of recent posts on “Poweliks” here and here shed light on creative measures attackers use to store malware in the Windows Registry. In short, there is a registry value that executes an encoded script stored in another registry value, which then drops a file on disk for execution. With data breaches and data security pushed into the news on seemingly daily basis, we expect today’s digital investigators to be faced with encryption technology more frequently. For those with something to hide, the use of strong encryption has been widely promoted. For those with data they would like to protect, the use of strong encryption is becoming more commonplace by the day. Most enterprises know full disk and file-level encryption is a necessity if you have something worth protecting. Underlining the trend, Windows 8.1 has designs in place to enable BitLocker encryption by default when appropriate hardware is present. One of the strengths of EnCase over the years have been the ability to identify encryption and decrypt evidence in place, exposing data for investigation, without altering its contents. Did you know you can use a single instance of EnCase® to queue jobs from different cases? In previous versions, it was possible to process multiple cases simultaneously using multiple sessions of EnCase. Even though the licensing allowed for this, the processing itself would have had to rely on shared resources. 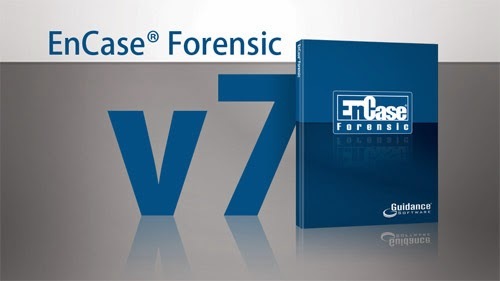 This is the first in a series of brief, but frequently asked questions and answers about working with EnCase® Forensic Version 7. We hope they save you time and help you close cases faster. It is hard to believe CEIC 2012 was almost two months ago. Since CEIC we have been hard at work on EnCase, in fact recently we released an update to v7, v7.04.1. If you did not receive the email notification about this release you can request the software download links by registering your dongle. Look for another great update to v7 coming in the fall, v7.05. James Habben The EnCase® Evidence Processor has some great features, but did you know that it can also parse Internet history and bookmarks from a USB thumb drive? Today we will look at forensic artifacts from the use of Mozilla Firefox and Google Chrome web browsers used from the PortableApps.com framework. First, let’s have a quick intro on the framework. The project was originally created to make a version of Firefox that was able to run solely from a USB thumb drive. It required a computer that was running Windows®, but it did not need Firefox. The thumb drive carried the application and stored all the history, bookmarks, and settings back onto the thumb drive. This setup allows privacy, secrecy, and convenience. Today, the PortableApps.com framework allows for a ton more applications to be run in a portable configuration. To use the framework, you simply download the installer from the PortableApps.com website. Run the installer and point it to your thumb drive. This installs the framework, but no applications. Here is what the application launcher looks like.